Today: Gabriella shares some penny-pinching ways to keep your fridge stocked with your favorite spreads. Open up my fridge at any given time, and you'll find it overflowing with jars of pesto and tapenades or tubs of hummus. Spreads can dress up a multitude of dishes from pasta and soup to roast chicken and salad. Bread and grains are taken to the next level with just a pinch of the stuff, but I've also been known to eat them by the spoonful. If I bought the stuff pre-made, though, I'd be in debt. Going the homemade route not only saves time, but it lets me get creative. 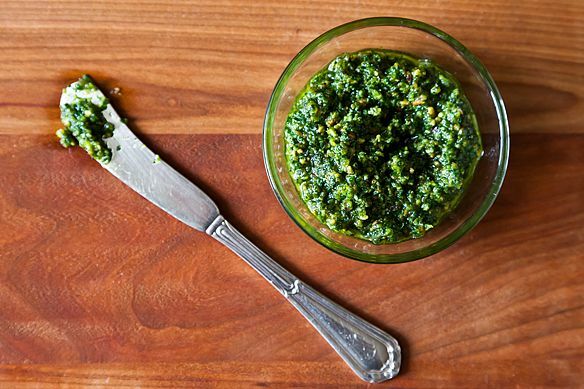 A quick way to save cash is to swap out traditional pesto's most expensive ingredients. Pine nuts are some of priciest nuts you can buy, so skip those and go with more affordable alternatives, like almonds or walnuts (pretty much everything but peanuts works well). Or omit the expensive Parmesan, and make your pesto vegan-friendly. We've rounded up some especially creative recipes that utilize ingredients like thyme, sage, and fennel. Time to put your food processor -- or your mortar and pestle -- to work. I love tapenades, mostly because the word sounds fancy and makes me feel sophisticated even if I'm eating some while sitting on my couch, tearing pieces off a day-old baguette while I watch my sixth straight hour of Game of Thrones. (They also work well for dinner party appetizers.) While tapenades are traditionally made with olives, it's easy to dress them down to save money, like with this kale and eggplant version. I'd be remiss if I didn't mention this spicy Roasted Carrot and Harisa that's amazing on crostini -- crème fraîche optional. A batch of fig and olive tapenade will still come in much cheaper than a storebought jar, so give it a try when figs are in season. And this green olive version works with pimento olives if you're really in a pinch -- we won't tell Martha if you won't. As far as I'm concerned, hummus is a food group in and of itself. In fact, I'm eating some of Yotam Ottolenghi & Sami Tamimi's Basic Hummus as I type this. Store-bought hummus isn't astronomically priced, but compared to the fresh stuff, it's disappointing. Get creative and think outside of the chickpea -- you can make anything into hummus, from sweet peas to white beans. Lentil hummus is great in the winter (add a dash of curry powder) and black bean hummus is a must with tortilla chips. Tell us: What spreads are in your fridge at all times? You can't make hummus out of "anything" because hummus means chickpea. Sorry, it's just something that really irks me. It's like making guacamole out of something other than avocado. I agree; if hummus is made without chickpeas, it needs to be called something else. It's like calling a cocktail made with anything other than gin and vermouth a martini - in other words, NO. My favorite March tradition is harvesting wild stinging nettles to make pesto. Gabriella, I LOVE your creativity! Never thought about making hummus w/out the chickpeas, but I will now. 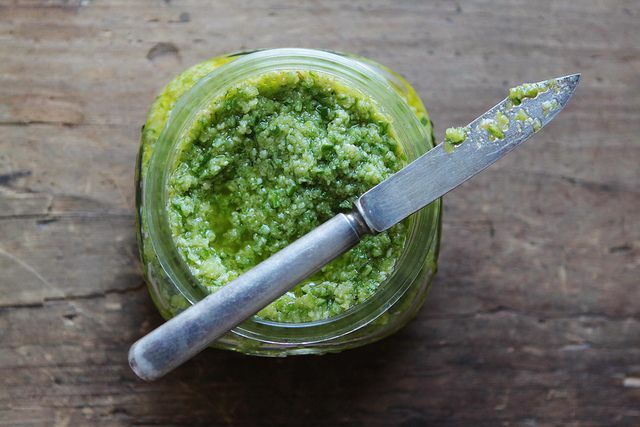 Did you know that Pesto is also French? Except they call it "pistou," and there are NO nuts in it... you really can leave them out entirely with no ill effects! 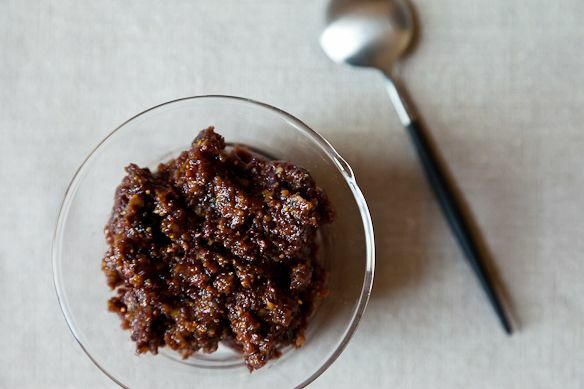 Tapenade may sound fancy, but it sure isn't. and you can make dozens of tapenades - tomato and zucchini are ones we like - as long as you put the tapena in it. "Tapena" is the Provencal word for capers! I'll have to get creative with pistou next! It's all about pistachio pesto. Being a traditionalist locked in middle America, I love my basic basil-garlic-pinenut pesto (I just wish we could grow the darn pine nuts in Arkansas). I look forward to experimenting with other ingredients and have promised myself to do so soon, especially after reading your article! Definitely Going to try out the carrot Harissa! Last week made pesto from beet greens and hummus with fava beans. They both turned out fantastic:)) thank you for more inspiration! 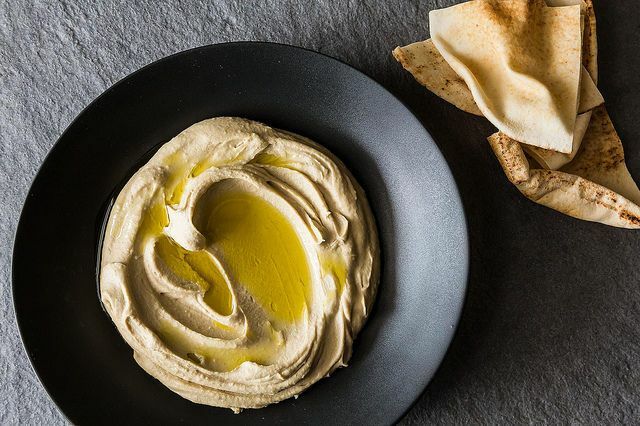 The fava bean hummus sounds amazing -- I'll have to try that myself! Muhamarra. Hands down. Roasted red peppers (jarred) + walnuts + bread crumbs + pomegranate molasses + cumin = my kitchen staple.